This very decorative living room has enough visual interest without a flamboyant curtain pole added to the mix. 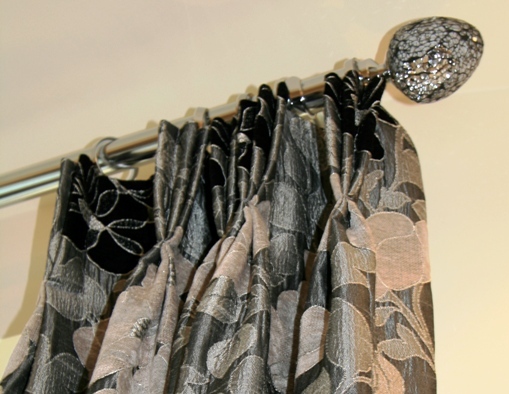 A simple metal or wooden curtain pole will provide the means for hanging the curtains without stealing any of the impact. Wallpaper is one of the main trends for home interiors this year and looks particularly outstanding if used on a feature wall. Many of the wallpapers match or compliment the curtain fabrics with large florals and light reflective surfaces being the most popular. 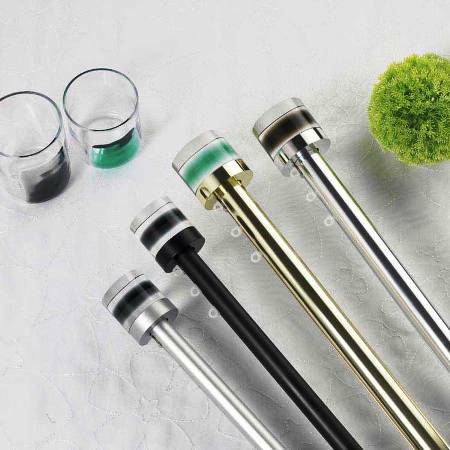 Metal curtain poles will suit any colour palette as they are available in a wide range of metal finishes and can be both traditionally elegant or minimally modern. 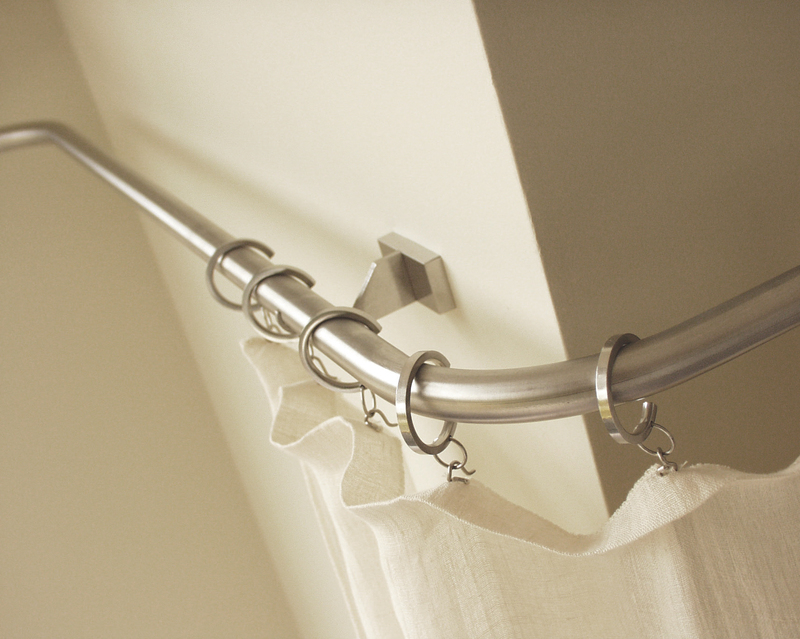 Many metal curtain poles have matching curtain holdbacks which will help you to create the type of window treatment you desire if it is to be based on large drapes of fabric. Bay windows are definitely the main feature in a room as they not only add depth to a room and an increase in natural light, but also provide the means for a beautiful window treatment. Bay window curtain poles are not a problem with today’s innovative methods of manufacturing, with many of our standard curtain poles also being able to be used for bay windows with the simple addition of specially designed corner joints. We are poised to add an exhilarating range of Ready-Made and Made to Measure curtains, cushions and bedspreads to our site which means that we will be able to cover every aspect of window dressings and soft furnishings for your home. When planning your new decor your window treatments are the key to success and should be considered from the outset to ensure a cohesive look to the finished scheme. The cushions and bedspreads should also be complimentary to the curtains, not an afterthought as they are the final flourish which will make or break the theme. Whatever the look you have in mind or your preference of colour, quietly browsing through our ranges of curtain poles, blinds, and now curtains and bedding in the comfort of your home may well open up a fresh train of thought or indeed inspire a completely new idea as to the look and feel of your finished scheme. 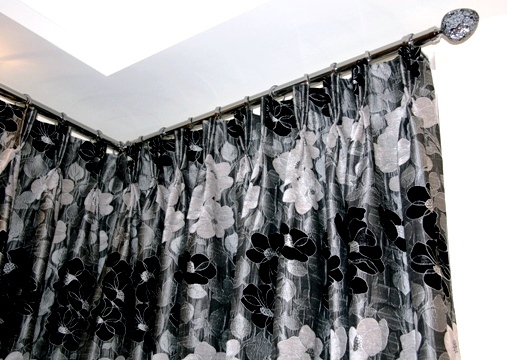 Ready made curtains are exactly that, they are made to standard widths and drops so you will need to choose a size that corresponds to your particular window. 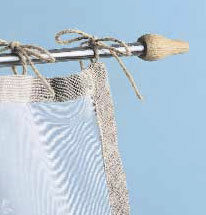 Ready made curtains are usually finished with either pencil pleat or eyelet headings, whereas with Made to Measure curtains, the choice is completely yours. A formal modern look is not normally geared towards family or feminine styling. It is in fact usually quite monochrome with space being the operative word and a distinctive mix of sleek, chic furnishings and window treatments (your hoarding instincts will have to be subdued to maintain this look). 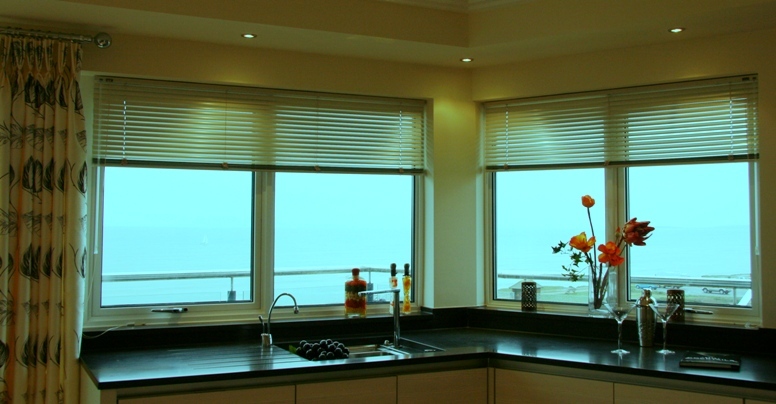 Metal curtain poles and venetian blinds or roller blinds are the favoured choice of window finish and you can be as creative as you dare, maybe with one feature detail such as a main wall decorated perhaps with a large work of art or a highly decorative paper. Lighting plays a significant role in this style of decor and should be carefully considered at the outset. A combination of lighting works best in a living room so set out the activities that will be taking place in the room and ensure there is adequate lighting in that area. Mood lighting is also essential to the decor, downlighters or uplighters creating a feature on a plain wall makes a striking impression and remember that many table lamps or floor lamps can be an object worthy of note in their own right. 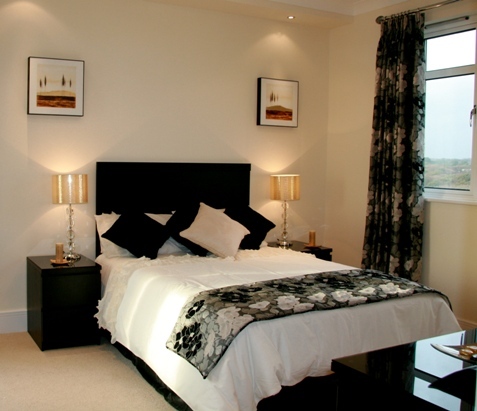 Dimmers are not differcult to install and will allow you to vary the mood of the room at different times of the day. 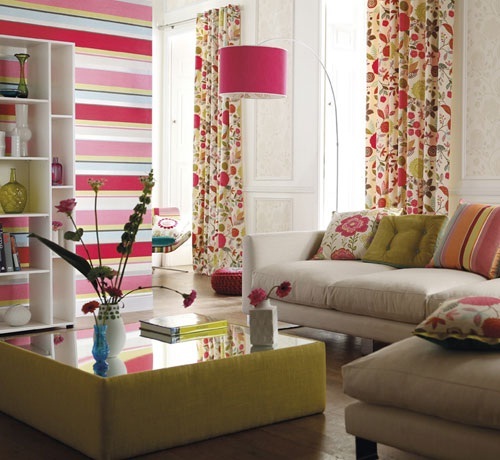 If you are favouring an eclectic colour scheme then make sure that you also consider the direction the room is facing. 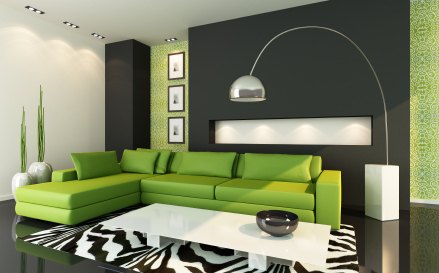 These sophisticated schemes look great as the severe palette of black and white is complimented by the stunning lime green, but in a North facing room this colourway will be cold and uninviting – in this instance accent colours will need to be in a warm colouring such as red. 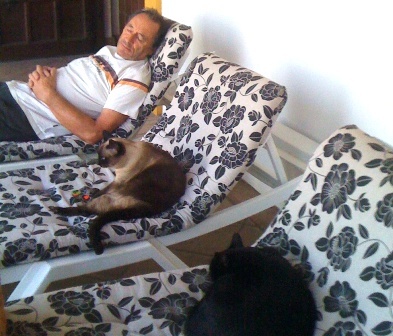 Also be sure to unify the walls with the furnishings or the end result will look out of control. Chandeliers are very much back in vogue and fit particularly well in any bedroom setting, even the most modern, but though most of us are trying to do our bit to save the planet, if you can, use conventional light bulbs for the chandelier so the light can be appreciated in its ornate, shimmering crystal glory. As far as the window treatments are concerned the cheapest is not always the best idea when every detail can be singled out due to the scarcity of furniture and accessories. As far as the window treatments are concerned the cheapest is not always the best idea when every detail can be singled out due to the scarcity of furniture and accessories. 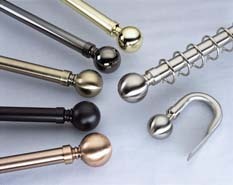 Modern metal curtain poles are available with a stunning range of finials that will add an extra dimension to your curtains and with the necessary related items can be used as bay window curtain poles or double curtain poles. 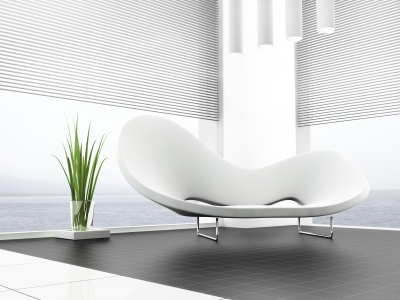 White venetian blinds either in wood or metal will look the part in any modern home, white being the ultimate in chic styling and ease of gently blending with the rest of the decor.